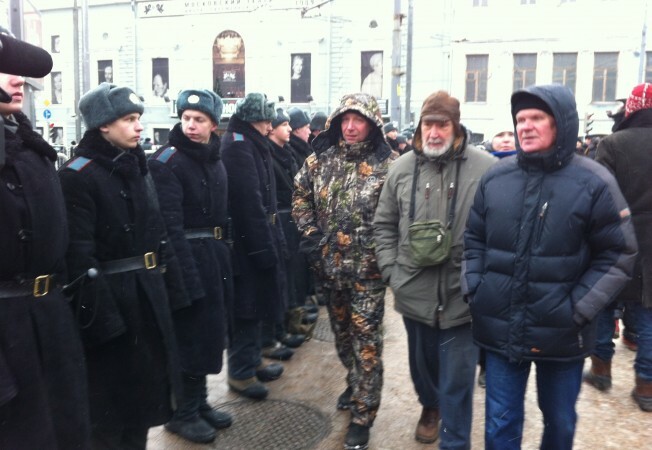 Russia Watch: The march of Moscow’s silent majority? During my two-week vacation in the United States, American friends again and again looked at me intently, and then asked: How do Russians see the new ban on Americans adopting Russian children? During the last three months of 2012, the Kremlin read out a steady drumroll of American and international organizations or programs expelled from Russia: USAID, NDI, IRI, UNICEF and Nunn-Lugar. But, for the Americans I talked to in New York and New England, the Kremlin’s clear anti-America message got lost in this murky alphabet soup. The breakthrough came with the adoption ban. That put a human face on the Kremlin’s calculated xenophobia. In simple terms, Russian politicians are sacrificing the futures of 1,000 Russian orphans – the number adopted by American parents last year – to make a political point. Over eggnog at a New Year’s Day party and over breakfast at my sons’ New England college, Americans gingerly asked me: What kind of people would do that? 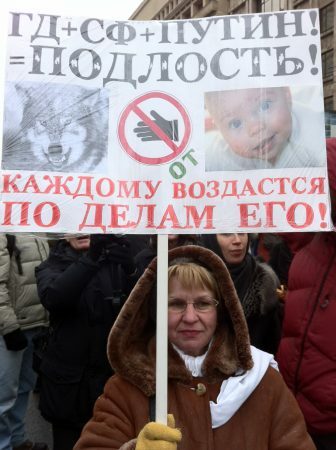 To my relief, I found insights Sunday afternoon while walking in an immense column of Muscovites protesting the adoption ban. In contrast to earlier demonstrations, these were Moms and Dads, Grandmothers and Grandfathers. This was not “the creative class” that spiced up past demonstrations with costumes and skits. Nor were these the chronically unhappy, brandishing red or black flags tacked on baseball bats. Sunday’s protesters were middle aged and middle class, the mainstream, the building blocks of society. They were people deeply involved in what is often the world’s most challenging profession: parent. In American terms, they could have stepped out of a meeting of the Parent Teachers Associations, the volunteer groups that advise local schools in America. These Russians had no problems with light snow and the -10C temperatures. In Moscow, parents know how to sensibly double fold their scarves, and don warm hats, boots, coats and gloves before stepping outside for two-hour walk on a mid-winter afternoon. A few minutes later, Anna Glukhova, the 40-year-old mother of a daughter, said she found it shocking that the Duma banned adoptions to retaliate against the United States Congress for passing a bill demanding justice in the prison death of Sergei Magnitsky, a Russian lawyer for an American hedge fund. 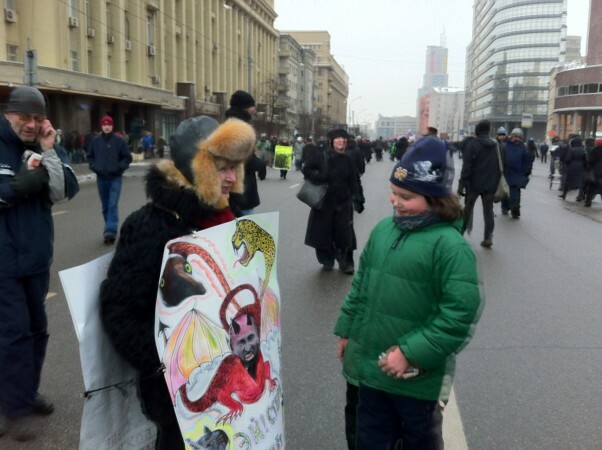 “I think that it’s very bad to defend murderers of Magnitsky with our orphaned children,” said Glukhova, the deputy director of a trading company who marched with her husband. Flowing up out of metro stations, at least 25,000 people turned out for the “March Against Scoundrels,” the largest protest turnout since President Putin’s inauguration last May. 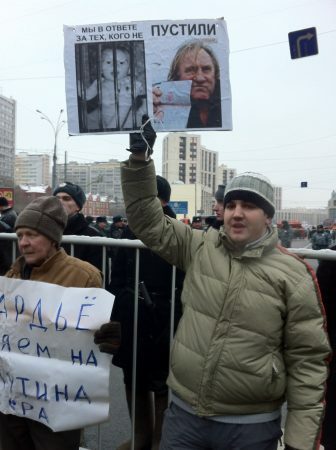 Much of the population of Russia’s capital is indifferent or hostile to the President. In March presidential, Moscow was one of the few places where he did not win a majority of ballots cast, winning only 47 percent. The moderate nature of Sunday’s protesters contrasted with the radical words of ruling party deputies. The deputies’ extremist views highlight a deepening divide between urban Russians and their government. In advance of the march, Andrei Isayev, a leader of the United Russia ruling party, warned on the party website about citizen “hysteria” over the adoption ban. After the march, Evgeny Feodorov, a ruling party deputy, warned me in an interview that it is highly possible the Russian children are cut up in the United States for the organ trade. State-controlled television chimed in with Soviet-style slant. On one hand, the Kremlin is continuing its year-long anti-American campaign, believing it can shore up support among rural, small city and Soviet generation Russians, the people who get most of their news from state-controlled television. On the other hand, the Kremlin seeks to focus attention on “foreign causes” for Russia’s looming demographic decline. Because of a dearth of babies born during chaotic years that followed the collapse of communism in 1991, the number of fertile age Russian women is starting to shrink. A believer of Alice in Wonderland demographics, Lakhova, the ruling party deputy, warns that American adoptions over the last two decades represent a small city lost for Russia. But in light of Russia’s sky high emigration and abortion rates, the American adoptions of 60,000 Russian orphans are, in reality, a drop in the bucket. If 5 million Russians emigrated over the last 20 years (a conservative figure), American adoptions equal three months of emigration. If 1 million pregnancies in Russia end in abortion each year (a conservative figure), two decades of American adoption equal three weeks of abortions. It is increasingly unlikely that Russia’s television viewers will be exposed to this mathematical reality check. In a move that would bring television news closer to the Soviet model, Duma deputies are debating a law that would ban anyone with a foreign passport, including Russian citizens, from criticizing the Russian government on television.